“Buy It Now” – This one is about a 16 year old who decides to sell her virginity to the highest bidder on ebay. Her story is told in two versions, the first documentary, and the second as a narrative. Directed and filmed with such realism by Antonio Campos, it stars Chelsea Logan in an incredibly believable stark performance that will blow you away. It was so disturbing, yet I couldn’t leave the theatre. Once you share her character’s experience, you will understand. I spoke with the young New York actress and told her she is a major talent on the brink of a great career. Born and raised in New York City, she studied voice, piano and cello, while honing her acting skills in after-school programs and summer camps, such as Stagedoor Manor in the Catskills. Chelsea has personified such roles as Nina in Chekhov’s The Seagull, Lucy in Michael Frayn’s Alphabetical Order, and The Director in Luigi Pirandello’s Six Character’s in Search of an Author. In addition, she has performed in numerous works by Shakespeare, Ionesco, Tennessee Williams, William Inge, and other Chekhovian plays, as well as several musical productions. At the age of 15, she traveled alone to Ghana, West Africa for one month, and documented her time there on film. Upon her return, she founded the first International Baccelaureate Film Festival for students across the globe. Her film was recognized at the 2004 CU2 Video and Film Festival and screened in Times Square at the Virgin Megastore movie theatre. 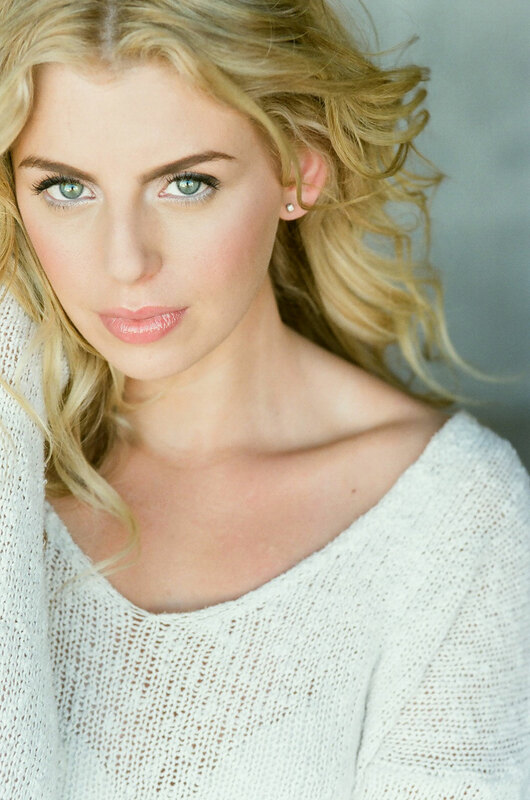 In addition to appearances on Veronica Mars and Mind of Mencia, Chelsea has worked on several independent features. She collaborated with Antonio Campos, starring as a young girl selling her virginity online, in “Buy It Now”, a film that garnered First Prize in the Cinefondation category at the Cannes Film Festival, the Audience Award at the Cinevegas Film Festival as well as several other awards and accolades. Additionally Chelsea played one of the lead roles in, “to.get.her”, directed by Erica Dunton, which went on to win the BEST OF NEXT Award at the 2011 Sundance Film Festival, as well as nominations & awards at the Milan International Film Festival and RiverRun Festival amongst others. In 2011, Chelsea graduated with honors with a BFA from New York University’s Tisch School of the Arts, as a drama major in the Stella Adler Studio with a Business of Entertainment Media minor from Stern Business School. She is currently living and working in Los Angeles and New York.